If Rockford IL sounds familiar, you just might be a Midwesterner. Or you might be a fan of the Rockford Peaches, one of the most successful teams in the All American Girls Professional Baseball League. (Anyone else suddenly feeling a need to re-watch A League Of Their Own?) Although Rockford is justifiably proud of their place in baseball history, this town (located less than 90 miles from Chicago) is a great place to visit even for non-fans. Also within easy driving distance of Madison, Dubuque, and St Louis, Rockford offers a ton of fun in the summer months. 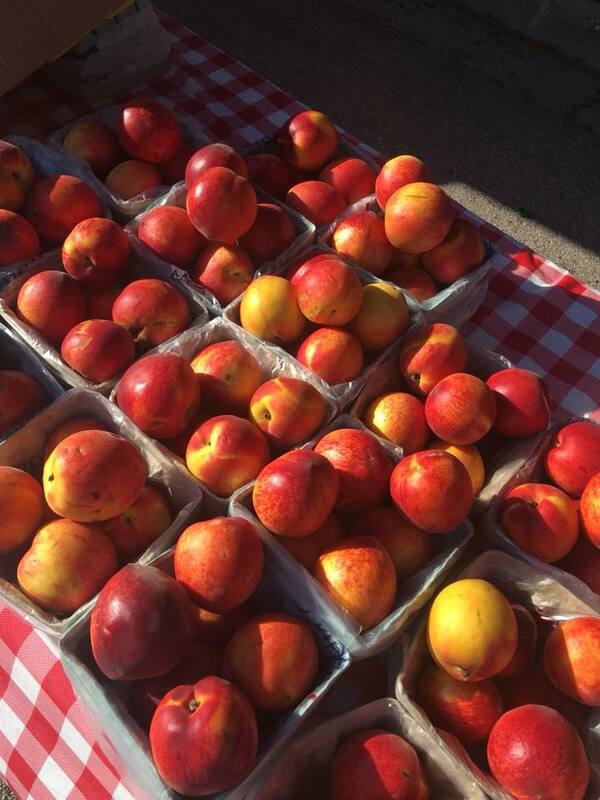 Texas Traveling Mom Jill recently visited the home of the Peaches shares this list of fun summer things to do in Rockford IL. 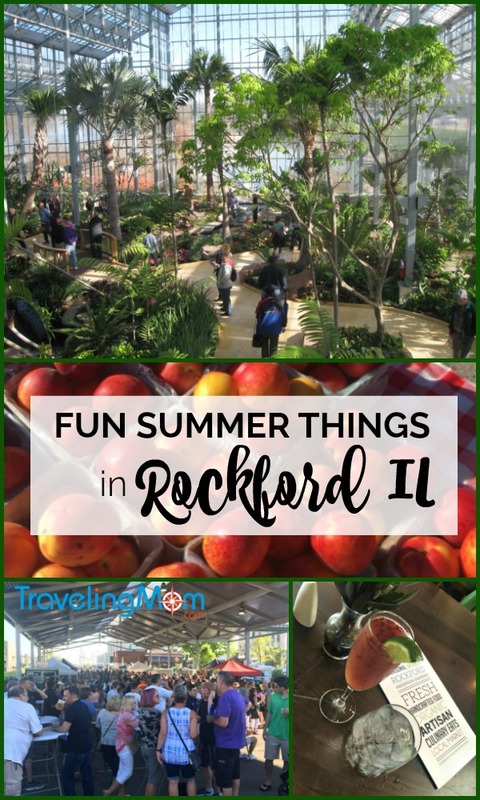 If you’re looking for an awesome Midwest destination with some serious summer fun, definitely give Rockford, IL a look. It’s an easy drive from Chicago and many other Midwest cities. If you’re planning a trip to the Windy City this summer, think about scheduling a few extra days to visit Rockford and the surrounding area – it’s so worth it! I’ve found lots of fun summer things to do in Rockford, IL. 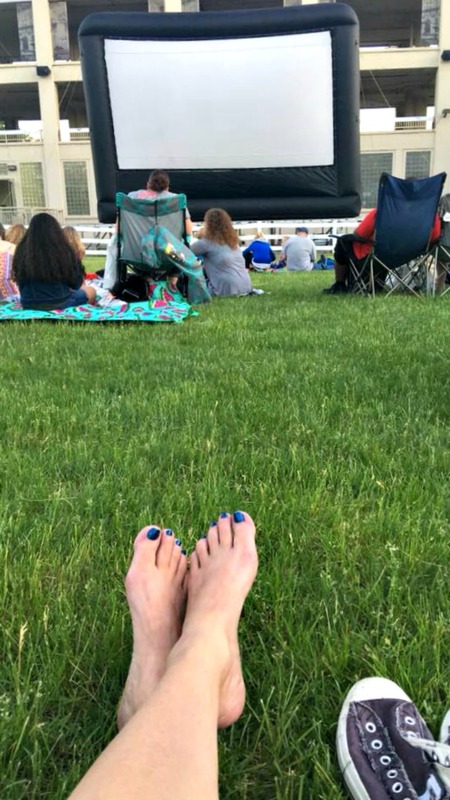 Check out my list and you’re sure to find something to pique your interest for summer fun in the Midwest! The Anderson Japanese Gardens is seriously the most zen place I’ve been in a long time. I know a Japanese Garden in the Midwest might sound a little weird but it’s really such a beautiful space. 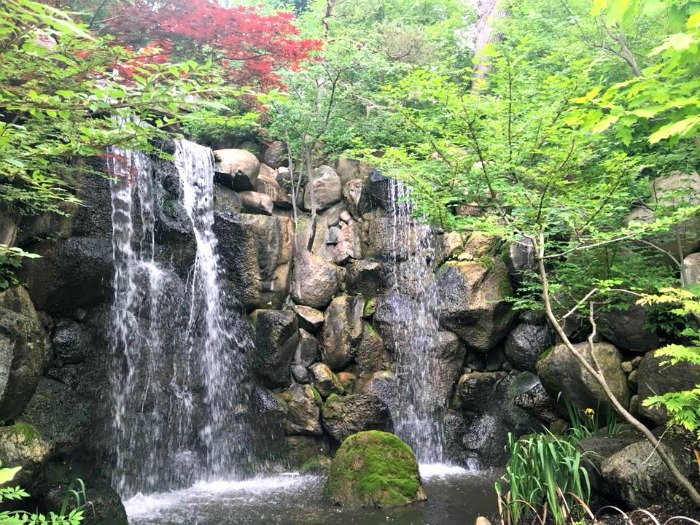 When Rockford businessman John Anderson was inspired by a visit to a Japanese Garden in Portland, OR, he decided to transform his swampy backyard along Rockford’s Spring Creek into a peaceful, Japanese-style landscape. The Anderson Japanese Gardens are open from 9:00 a.m. to 6:00 p.m. M-F and from 9:00 a.m. to 5:00 p.m. on Saturdays and Sundays. Check their website for admission prices. In addition to the gardens, there’s a really sweet shop that contains some fun and unique garden and gift items and an absolutely wonderful restaurant. I’d describe “Fresco at the Gardens” as a casual upscale places to get breakfast, lunch or brunch with an amazing view. Fresco has a strong commitment to locally sourced fresh food and that made me feel good about eating there. I can wholeheartedly recommend the raspberry mimosa (which was like a little slice of heaven) and the crab cake sandwich. 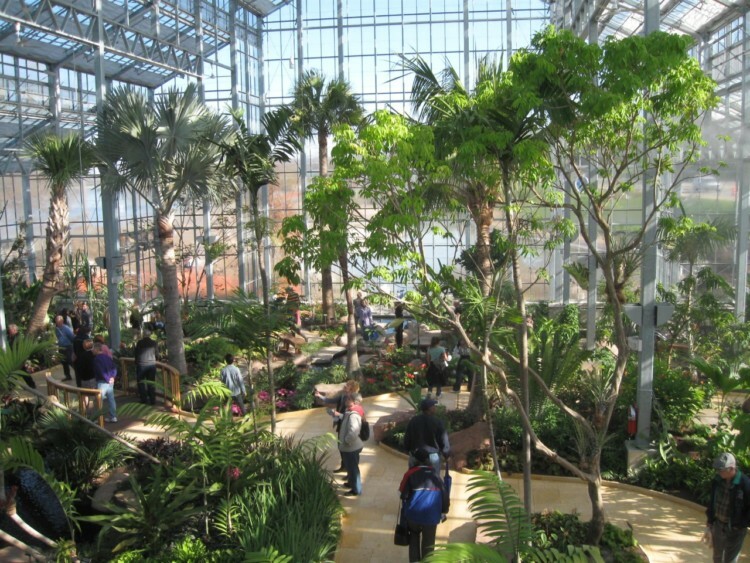 Nicholas Conservatory and Gardens brings the tropics to the Midwest. This experience includes a 11,000 indoor plant display complete with water features, sculptures and seating areas. The beauty continues outdoors with Eclipse Lagoon and Sinissippi Rose Gardens. Read More: Visiting Rockford in Spring? More Fun Things to Do! The Nicholas Conservatory and Gardens is located along the banks of the Rock River, which is a lovely spot for walking and biking. 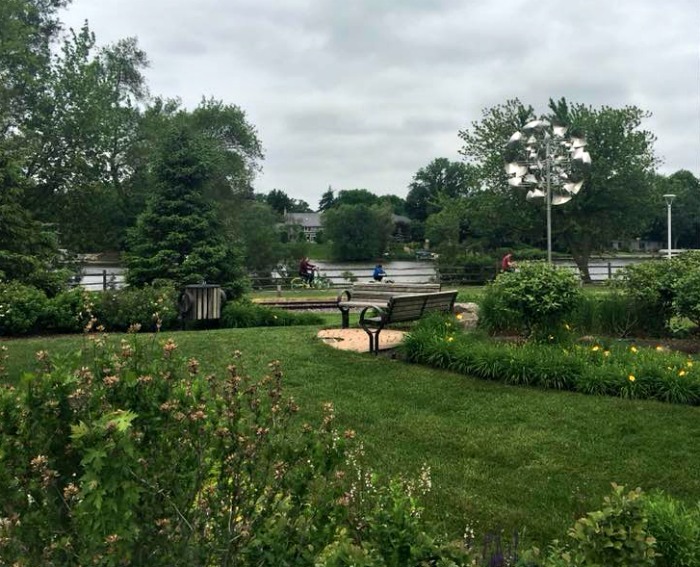 Check out the “Lime Bikes” located in front of the Conservatory and other places around Rockford…this is a great way for visitors to be able to explore the city on the back of a bike without having to lug your bicycle along. 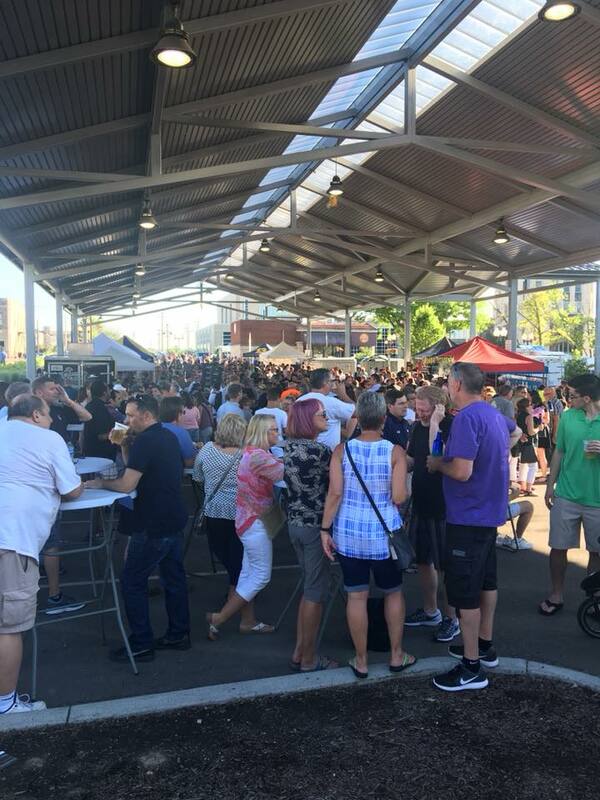 Check out Rockford City Market on Friday nights from mid-May through the end of September (check their website for exact dates and hours). The Rockford City Market is the place to be in Rockford on Friday afternoons and evenings. You can eat delicious food, sample local craft beer, listen to music, shop, stroll along the riverfront and let your kids enjoy cooling off in one of the many splash pads. 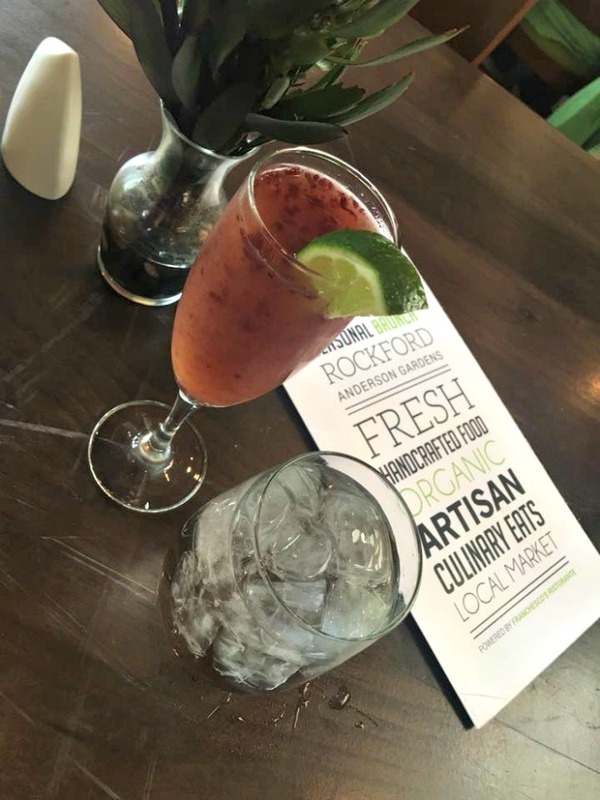 Visitors and locals alike will really feel the Rockford vibe at the Rockford City Market. This attraction is popular with people of all ages and truly has something for everyone. If you’re in Rockford on the first Friday of June, July, or August, check out the Friday night Flix in Davis Park (easily walkable from the Rockford City Market.) This is a completely free event. Bring a blanket or some lawn chairs and enjoy a movie (see website for details) in a fun, family-friendly setting. You can bring your own drinks and snacks in (no alcohol). There are also concessions available. If you want a cotton candy twice the size of your head, this is your place. If you want to escape the summer heat and humidity, Rockford’s three museums are all located together. The Burpee Museum of Natural History, The Rockford Art Museum and the Discovery Center Museum all share a parking lot on North Main Street in downtown Rockford. 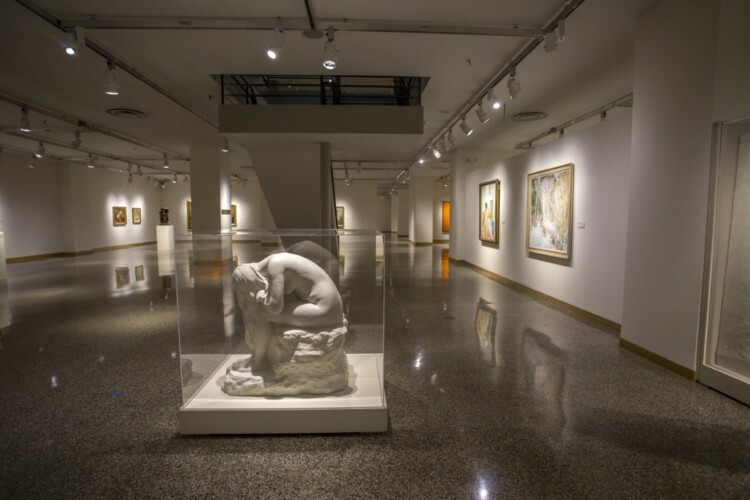 The Rockford Museum of Art gives you a taste of local art with exhibits that change on a regular basis. 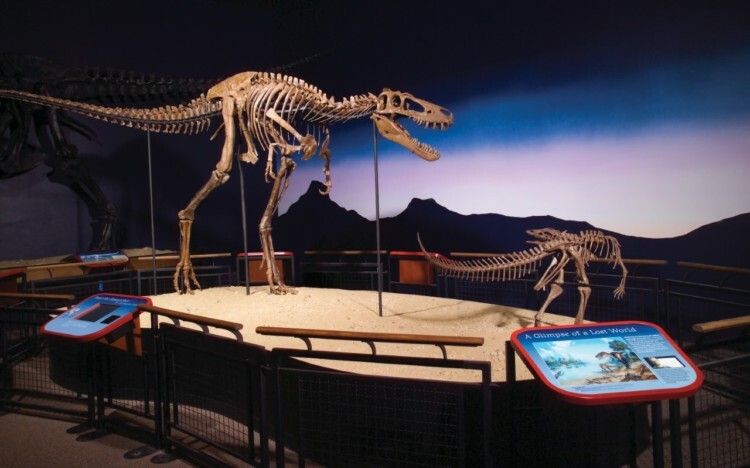 The Burpee Museum of Natural History gives insights into how the terrain in Rockford and the surrounding area has changed over time, to include some really awesome dinosaur exhibits. If your kids love Dinosaurs as much as mine do, this is a must-stop. 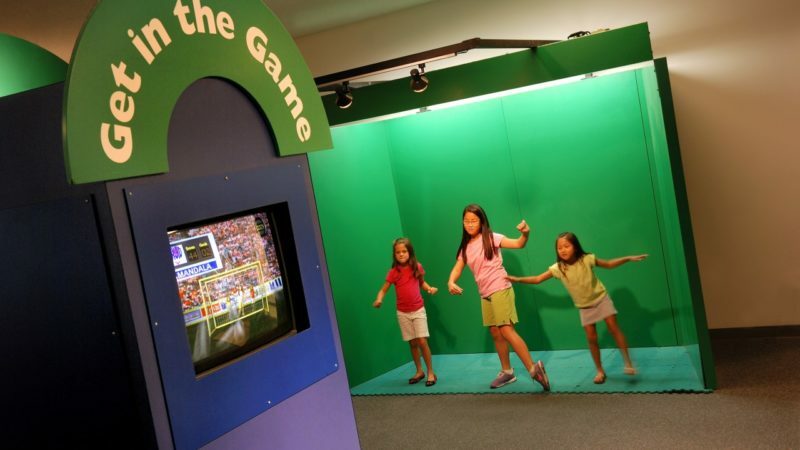 The Discovery Center Museum is a hands-on place for kids to play and learn. No shame in your game if you enjoy this more than your kids! There is also a really cool outdoor playground in back of the Discovery Center. Check their website in advance of your visit to see what special events might be going on. 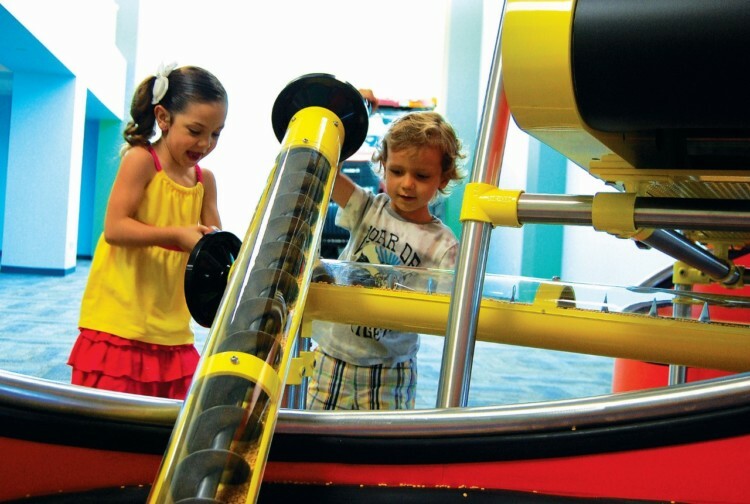 Summer time brings lots of fun activities to the Discovery Center. 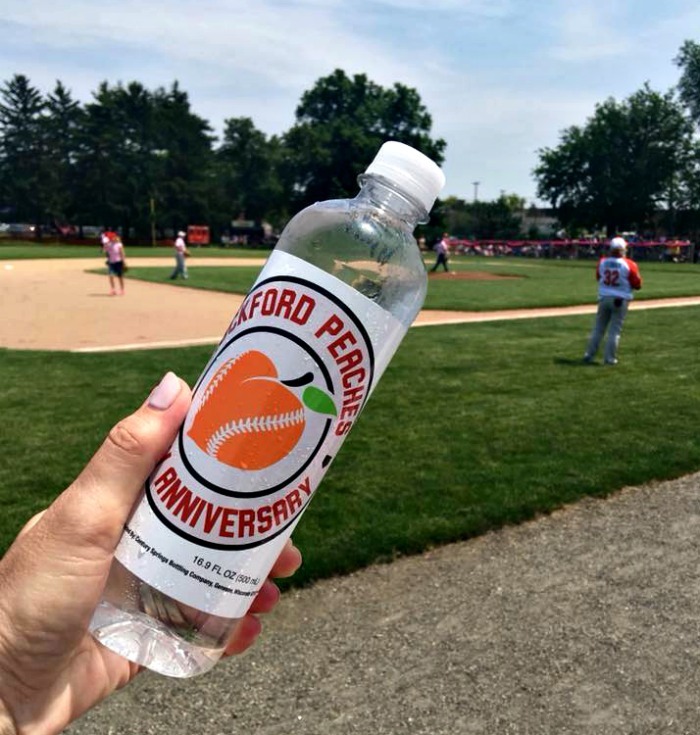 Rockford is home to the Peaches, one of the teams in the All American Girls Baseball League that existed from 1943 to 1954. If you’ve seen the 1992 movie A League of their Own then you are familiar with the fictionalized account of how the Rockford Peaches came to be. And, if you haven’t seen A League of their Own your movie education is seriously lacking and you should go watch it right now. 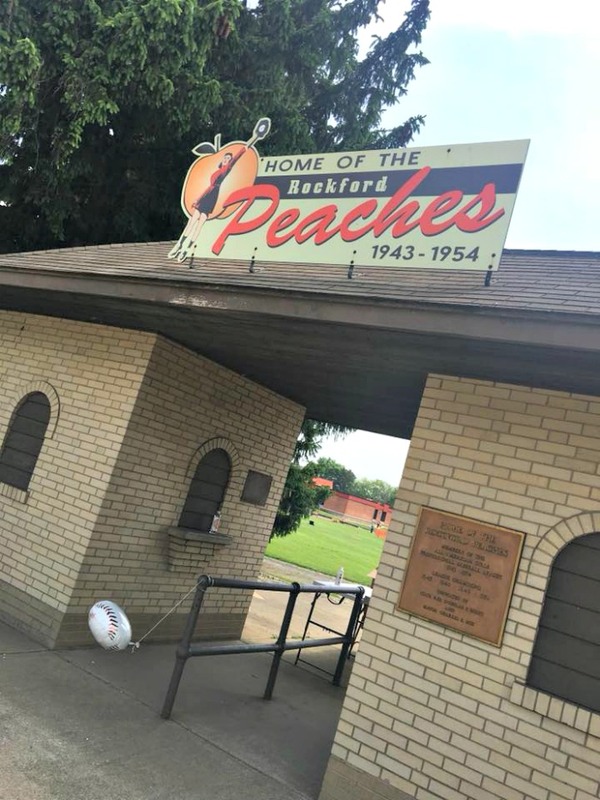 In Rockford, you can visit Beyer Stadium where the Peaches once played. The ball field as been completely refurbished but the original ticket booth still stands. The International Women’s Baseball Center is currently planning to build a $7M facility dedicated to the advancement of girls and women in baseball…not softball, baseball. If you’d like to take things up a couple of notches, visit nearby Dyersville IA (movie site for Field of Dreams) and Freeport IL, which contains a miniature replica of Wrigley Field. If you’re all about the great American past time (or maybe just all about baseball movies) then this area, which is an easy jump from Chicago, just might be your dream destination. If you’re planning a trip to Rockford and want more info on all the things, contact the Rockford Visitor’s Bureau for a copy of their complimentary city guide. This comprehensive booklet contains everything about everything in Rockford. It will help you plan your trip and make you wish your trip was longer than you planned because this book will seriously amaze you with all Rockford has to offer. Jill is the oldest mom with the youngest kids pretty much everywhere she goes. She has a 24-year-old daughter and two seven-year-old sons. She realizes that yes, that’s a really big gap between kids. Jill wears many hats: wife, mom, humorist, writer, wanderer, caffeine addict and wannabe wine snob. She is a news writer for Disney’s parenting website, Babble. Her work has appeared in various other online and print publications, including The Washington Post. Jill is always planning her next adventure, whether that be a week in Ireland or herding her kids into the people-mover (AKA her super-cool minivan) to check out what’s new in her neck of the woods. She lives with her husband and two sons in the San Antonio area. You can find out what Jill is up to by reading her blog, Ripped Jeans and Bifocals, where she writes about adoption and her spin on everyday parenting. 3 Easy Meals to Fix While on Vacation! We LOVE the Discovery Center! We also can’t get enough of The Pottery Lounge (in the mall) – my 5 and 7 year old boys have a blast. Can’t wait to check out a few others on your list!